ClintClifton.org – How far is the hatch? How far is the hatch? So my brother-in-law, Jonathan, is stationed with the US Army in Hawaii. He is on the Island where Lost is filmed. 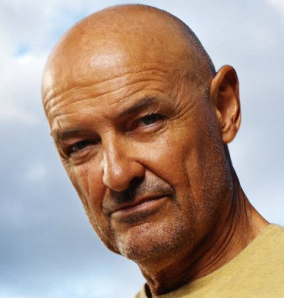 There is a particular Starbucks near by that John Locke frequents. As if that’s not enough – the other day he’s taking a stroll down the beach and sees the the campsite of the survivors of Oceanic flight 815! He snapped some pics on his iphone and sent them to us. I just pray that Alvar Hanso doesn’t find out he was there!